As part of the recruitment process, employers use selection tests to screen job candidates to determine if they fit the criteria to be interviewed for the specific job opening. The selection tests aim to provide an employer with an insight into your mental capabilities and decide if your personality best fits the role you are applying for. Hogan Assessment tests are types of selection tests that are used by many Australian companies and government agencies. In this article, we will explain the purpose of each Hogan Assessment test and give you some tips at the end on how to do them well in your next test. What Are Hogan Assessment Tests? As mentioned above, the Hogan Assessments are selection tests that help your potential employer to better assess personality and decide if you fit the position you are applying for. By knowing your personality, your employer will better know you and understand the way that you operate. Hogan has several different assessment tests to assess the individual’s personality and workplace character. Each individual test evaluates different traits of your personality. These assessment tests can help employers to better comprehend your actions and behaviours as well as how to handle a situation that involves you, whether it be good or bad. At the end, all of the combined information will give the employer a complete layout of your entire personality. The several types of Hogan assessment tests are as follows. 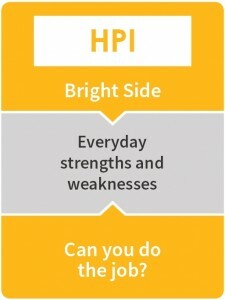 The Hogan Personality Inventory is known as the bright side personality or how a person normally behaves. This aspect of personality describes an employee when they are at their very best. This can decide whether a person is fit for a leadership role and how they perform in the workplace environment. This test has 266 True/False and Agree/Disagree questions, which is untimed but takes around 20 minutes to complete. The HPI assessment tests are measured using 7 primary scales, 6 occupational scales, and one validity scale. Individually each of these factors or skills better defines how a person’s personality will affect and benefit their work. Basically, the employer will learn what the employee’s strengths and weaknesses are. Here are the different scales that will be measured. The Hogan Developmental Survey reveals the dark side of a person’s personality. That means how the person reacts when under intense stress and pressure. Basically, their bad behaviours. This determines how far a person will go in order to be successful, what factors can derail their career or lead them to sabotage others. This enables an employer to target an employee’s risk factors and deal with it before it becomes an intolerable problem or decide the employee doesn’t fit the job. This test has 168 True/False questions, which is also untimed but takes around 20 minutes to complete. The HDS assesses 11 unique patterns of behaviours that a person portrays during times of stress. A person’s problem behaviours will be identified. Once a person’s behaviours are identified. A person then knows what behaviours he or she needs to work on and in what areas they need improvement. This will enable them to be a better team player, have remarkable work relationships, and grow as an individual. The Hogan MVPI is the inside of a person’s personality. The MVPI assessment test identifies what type of work a person likes to do, what they prefer to do, and what they will do to achieve their ultimate career goal. 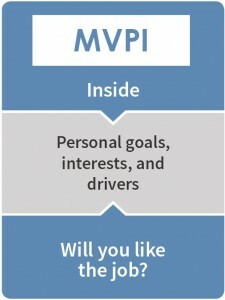 Basically, The MVPI reveals what a person wants to do rather than what he is supposed to do. The MVPI assessment test is used to decipher and measure a person’s own values. There are 10 different parts that determine a person’s core values or ethics. By assessing an employee’s personal values, an employer can tell what type of employee the person will be. They can determine what role in the company best suits the individual. If he or she will be a team player, striving towards the same goal as their co-workers, and so forth. The HBRI simply is the reasoning test. 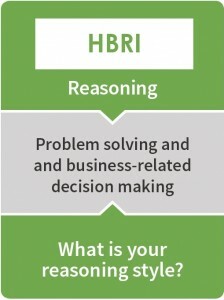 When taking the HBRI assessment test, a person reveals their business reasoning skills, how well they can solve problems, make decisions, close a deal, interpret data, and so on. It comes down to how well you can successfully perform in the position that you are applying for. The HBRI will evaluate a person’s business related problem solving, decision making, and data interpretation. There are two types of problem-solving that will be evaluated, tactical and strategic. When completing the HBRI, the employer can tell who is best at performing which job or how fast you can learn how to successfully perform the required position. 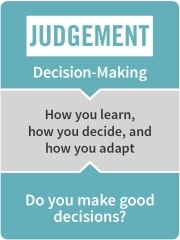 The Hogan Judgement Model details a person’s decision-making abilities. Basically, how well a person can make decisions, how a person reacts to other people’s decisions, and what happens when the person makes the wrong decision? The Hogan Judgement assessment test is split up into three individual sections. Learn: Means how the individual learns. Can they learn by reading, do they have to have pictures, or do they have to actually perform the task? Which way is easiest for them to learn the information needed to perform their job? Decide: Simply, how a person makes their final decision. Do they gather all the information they possibly can to make an informed decision? Or do they follow their natural instinct? What is the process they use to make the correct decision? Adapt: This is an important aspect in decision-making. Basically, how does the person react to the decision? What happens when it’s the wrong decision? Do they break down? Or quickly work to fix the situation at hand? How well can the individual adapt to the consequences of the decision? The Hogan Judgement assessment test can tell how a person perceives all of the steps of decision-making. From how they reach their decision to how they react to what the decision brings? Maybe the results are different than they anticipated? Can they roll with the flow? Or will they cave under pressure? Upset that their choice did not turn out as expected? Combined with other Hogan assessment tests, you can tell a lot about an employee’s leadership skills and work performance. Access Hogan Judgement test practice now. The Hogan 360 is a new addition to the Hogan assessment tests. It measures an individual’s reputation at the workplace. Hogan 360 follows an easy leadership framework. It will tell the individual how others at work view their work attitude, behaviour, and performance. The individual receives constructive criticism and tips from their fellow co-workers, bosses, and other staff on how they can better improve their work reputation. Even if the individual believes they have a larger than life reputation and can’t do any better. Then, they might be a little surprised but, need to know where they stand with their reputation in the company or business. Matrigma is a cognitive ability test which is based on Raven matrices. Matrigma will show the employee’s ability to solve problems, look for solutions, and set things in motion to reach future goals. A person’s level of cognitive ability means a lot in the workplace. A higher level of cognitive ability means they perform their work better, are better able to relate to other people, to fix a problem, do not cave under pressure. The higher your position at work is, the higher cognitive ability level a person needs. 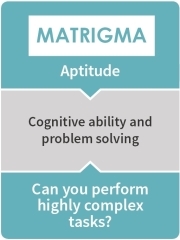 Unlike other cognitive ability tests, the Matrigma test is usually longer (40 minutes with 35 questions) and its difficulty level increases as you work through the test. You can prepare for Matrigma test here. Personality tests and psychological testing is becoming more common than ever. They help the company to recruit employees and weed out people who just don’t fit the role. If you are a potential candidate and really want to do your best, there are a few things you can do to increase your chances of doing well on the Hogan Assessment Tests. First and foremost, practice. You learned that you have to study for a test in order to ace it. Online you can find many sample tests, free and paid. The more practice you have, the better you will do. Practise Hogan Assessment Test Prep. Secondly, if you don’t know much about the position you are applying for, research it. The more you know the better. You don’t want to apply for a position that you know absolutely nothing about or does not suit you at all. On these types of assessment tests, your knowledge, and needed skills will show. Lastly, especially when it comes to the personality parts of the tests, be reasonable. Use common sense when answering questions. Do not try to act like someone you are not. If you are highly qualified for a specific role, let it show. Thanks for explaining in detail different Hogan tests.